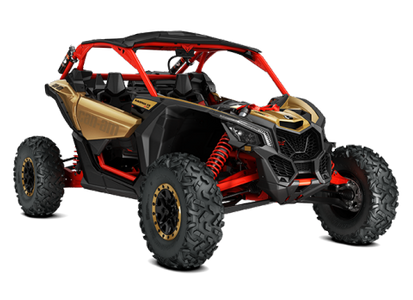 Introducing the latest Can Am Maverick X3. This all new design sport side by side has once again pushed the limits of what a sport UTV can do. From a all new exterior design and new cockpit to a new 24 inch travel suspension, lower center of gravity and so much more power this sport side by side will blow your mind along with every other UTV on the market. SideBySideSports will help equip this monster of a UTV to make it the ultimate personal side by side.